Videos are now making it into every interaction we're making online. By 2017, video will account for 69% of all consumer internet traffic, according to Cisco. Video-on-demand traffic alone will have almost trebled. Nielsen claims 64% of marketers expect video to dominate their strategies in the near future. (Forrester) It's not difficult to see why. 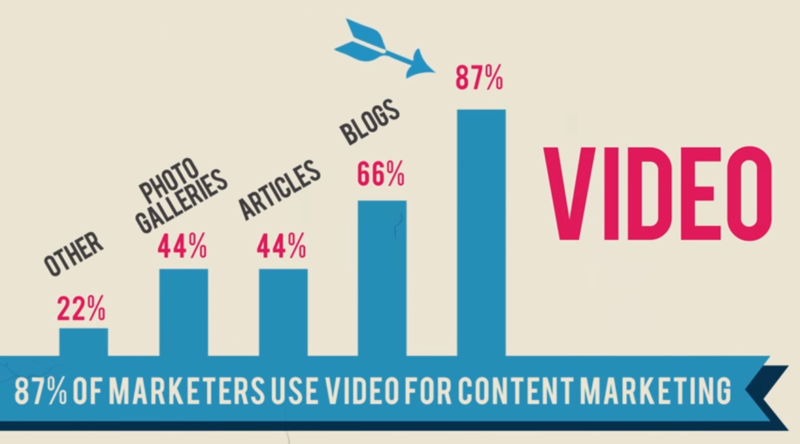 Let’s walk through some reasons why video should take a leading role in your content marketing strategy. 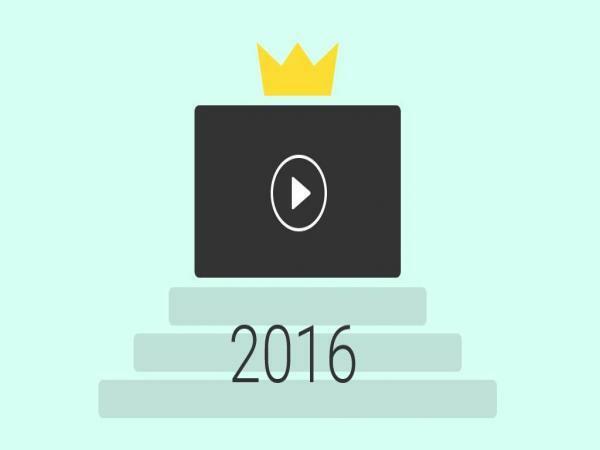 The presence of video itself affects the most important SEO ranking factor: content. Video is evidence of quality content, and as part of a media mix on a site, it helps send signals to search engines that your page or site contains rich media relevant to search requests. It is expected that search engines will continue to increase the ranking factor of including video as consumers demand video in search results. So having video on your site will boost page rank. Including a transcript of the audio portion of your video improves its findability and adds further support for its relevance to search requests. YouTube is, on its own, the second-largest search engine in number of search queries. Secondly, YouTube is owned by Google.Create a YouTube channel and insert your Web page into your channel profile. Also insert your link in the video description. Because video is such a compelling medium, it can both be the driver and centerpiece of branding efforts. Using a comprehensive and holistic approach, video can support a wide range of marketing initiatives. Branding strategies can touch on this through a variety of avenues: images, text, audio and identity. A video is capable of bringing all of these elements together and driving it forward into other marketing initiatives. As Social Times noted "To remain a player in the digital space, companies of all sizes need to understand the power of storytelling and to what extent the digital space is becoming a video marketer’s playground. Whether it’s a big budget advertising campaign with bells and whistles, or an honest and compelling short about the history of your company, SME’s and big brands alike need to start thinking less like marketers and more like storytellers. And video is shaping up as the medium of choice to tell the tale." Using video on landing pages can increase conversion by 80% and 64% of consumers are more likely to buy a product after watching a video about it. If you have X amount of traffic on our website and your new video could convert 20% more customers, how much value would that have for you? Video itself is changing and making true participation possible. Using video in your marketing strategy is no longer just an option — it’s a necessity. The strength of any content’s ROI starts with the goals motivating the content’s creation.Some content might be geared toward driving awareness and encouraging social follows, form queries, and newsletter subscriptions, while other videos may push a specific product and be angling for a quick conversion. Skyword advice to use video views is an important KPI, if you’re seeking brand awareness. If it’s increased traffic to an online store, those referrals need to be tracked. Marketers must establish these goals first, and then generate specific KPIs that reflect these results.Higher engagement rates generally endorse the quality and relevance of the content and hopefully indicate actions or conversions will take place. 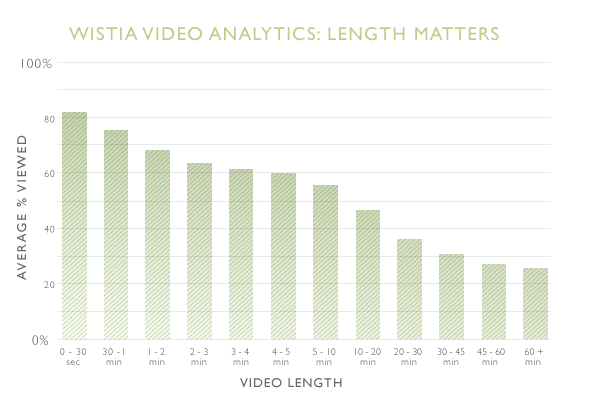 If users tend to drop out at any specific point, it may indicate a weakness in the video. As you can see, the longer a video drags on, the lower its retention, which is expected. Yet videos under 1 minute enjoy 80% viewer retention up to the 30-second mark, while videos 2-3 minutes in length still enjoy 60% retention. 5-10 minute videos (which is just about the cutoff for video marketing purposes) still see over 50% viewer retention halfway through. While creating high-quality, compelling video content is often a big financial as well as human-capital investment, if done well it can literally catapult a campaign or initiative forward unlike any other medium.